To book your car in or find out how we can help, just call 09 438 1980 and press 2 for the workshop! Neville started with Colin Wrack Auto Electrical in 1985 (the company was founded in 1975). In 1997 Neville went into partnership with Colin (his uncle) and renamed the company C&N Wrack Auto Electrical Ltd. In 2003 Colin retired and Neville purchased Colin’s share of the business. He changed the name of the company to Wrack Auto Electrical, as we know it today. 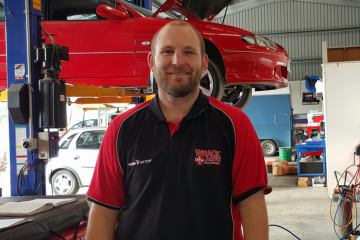 Neville is one of Northland’s best auto electricians with 27 years of experience in commercial and automotive auto electrical trade. Neville is a keen supporter of Surf Life Saving. He loves swimming, kayaking, fishing and spending time with his family. Duane started as an Auto Electrician in South Africa Fuel Injection Services 1990. Duane then moved to GM South Africa where he was one of the top diagnostic technicians in his field. 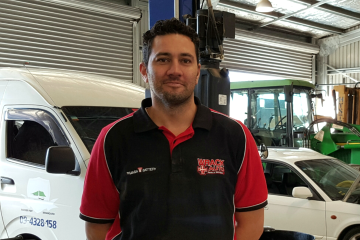 In 2006 Duane and his family immigrated to New Zealand and Duane started with Wrack Auto Electrical in Whangarei as a technician on the floor. As time moved on Duane showed his true skill and was asked to step up to the roll of Workshop Manager where he can bring alternators and starter motors back to life for you. Duane enjoys surfing, fishing, music and rugby at all levels. 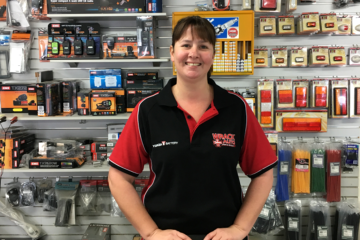 Jacqui started with Wrack Auto in 2016 to help Duane managing the workshop. Originally from South Africa, she moved to New Zealand in 2006 and made Whangarei her new home. Mother of 2, she enjoys relaxing over a book and diving in summer. She has become a valuable asset to our team since she started working here and will welcome you with a friendly smile when you drop your car off. 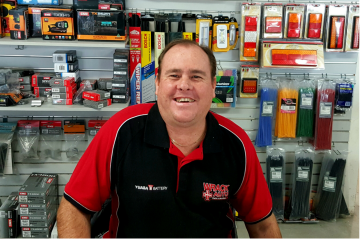 Mark started with Wrack Auto in 2001 as an apprentice. He then qualified 2005 and became a mobile sparky with the Wrack Auto team. He works out in the field on heavy commercial machinery in Whangarei and surroundings. Air Conditioning and fault finding on commercial machinery is his game. Mark is a family man and enjoys all levels of rugby. Henry started with Wrack Auto in 2011 as an apprentice. He is a valued part of the Wrack team and is mainly based in our workshop. Henry enjoys fault finding on air conditioning systems and working with car diagnostic equipment. Henry is a dedicated family man and enjoys gaming.